Vegetable Puree is a recipe for the young ones in your life. You can start giving kids Vegetable Puree from when they are 6 months. It is the perfect way for your kids to get as much nutrients as they can from vegetables because they are too young to eat these vegetables like adults do. 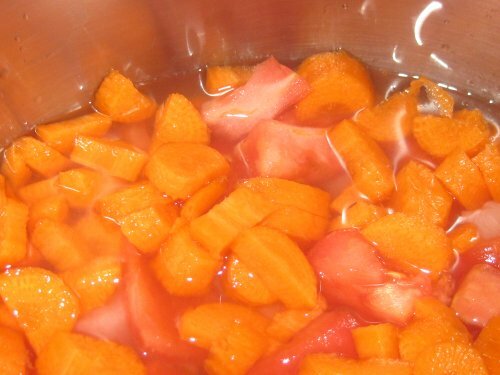 Wash all the vegetables then scrape the carrots, remove the peels and seeds from the tomatoes and cucumbers. Now cut the vegetables into small pieces. Wash the chicken breast and cut into small pieces. Note: It is best to start the baby off on a vegetable puree without the chicken breast then introduce the chicken breast after one week of taking vegetable puree. You can use beef instead of chicken breast. Put the cut carrots, tomatoes and chicken breast in a pot, pour water up to the level of the contents of the pot and start cooking. Leave to boil for 15 minutes on medium heat. Add the cucumber, Olive Oil and a pinch of salt. Note: Olive Oil is the best oil for the recipe but it can be replaced with other vegetable oils. Skip the salt if the child is less than 12 months old. Cover the pot and leave to boil for 5 more minutes. Turn off the heat and leave to cool down. When the cooked vegetables have cooled down, blend into a fine puree using a liquid blender. The Vegetable Puree can now be fed to the baby with a spoon. It can be added to baby cereal and milk mix and fed with a feeding bottle. 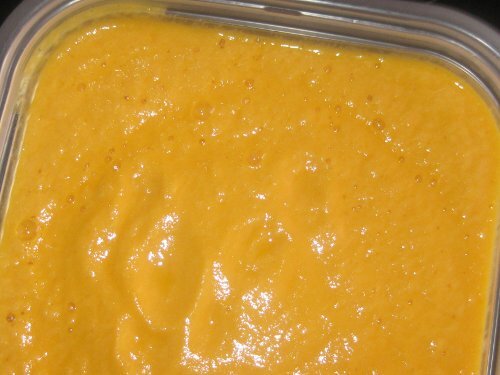 The Vegetable Puree can last for up to 48 hours if well refrigerated. To warm it, put in baby’s bowl and microwave till very hot, then allow to cool to a safe temperature before feeding baby.